A well-judged blend of familiar, genre-specific elements alongside a healthy dose of contemporary individuality. Skid Row did it, H.e.a.t too – once their second singer, Erik Grönwall, had bedded in. What am I referring to? 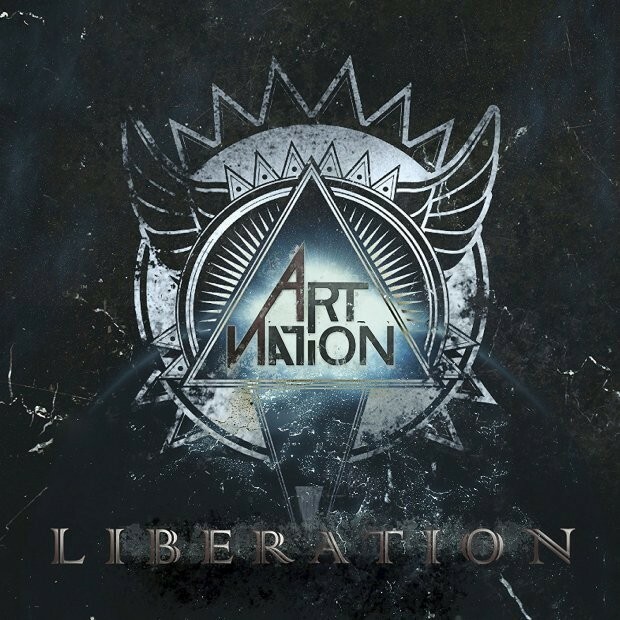 A toughening up of their sound by a young band – in this case Art Nation with the follow-up to their 2015 debut 'Revolution'. I'm speaking relatively mind, as the delectable synthesizers are even more prominent on this release, thus tempering any chance of the added heaviness spoiling an already winning recipe. 'Ghost Town' debuts with a decidedly AC/DC-style riff and a raw "megaphone" sounding vocal effect applied to front-man Alexander Strandell's opening lines; this sets up the lush, synth-powered chorus magnificently in a manner not dissimilar to biting through hard chocolate to discover a velvety praline filling... a technique AN employ to fine effect more than once on 'Liberation'. 'Maniac' is perhaps the pick of the album – a great workout track certainly – with its combination of driving guitars & keys alternating with the moody, bass-driven verse sections, while 'The Real Me' and its combination of punchy dynamics and attention-grabbing chorus strongly echoes the finer moment on 'Revolution'. 'Kiss Up & Kick Down' has a very contemporary Pop feel and in the wrong hands could sound a touch too mainstream, but – thanks mainly to Strandell's commanding delivery – it manages to win these ears over. 'One Nation' is even better, thanks to its storming, heavily Progressive-sounding instrumentation built on the tightly-knit rhythm section of drummer Carl Tudén and bassist Simon Gudmundsson. The urgent 'A Thousand Charades' sees the synthesizers turned up to eleven, while closer 'What Do You Want' has a great, slowed-down tempo to the chorus that blends superbly with some cool, eighties synthwave-style keys. 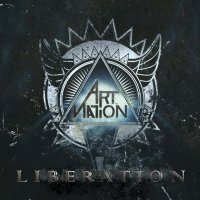 'Liberation' has taken literally one full listen to convince as a worthy follow-up to 'Revolution', thanks to a well-judged blend of familiar, genre-specific elements alongside a healthy dose of contemporary individuality. In addition, if you enjoy Art Nation's two albums, you'd also do well to check out 'Overdrive' by Diamond Dawn, Strandell's former band.